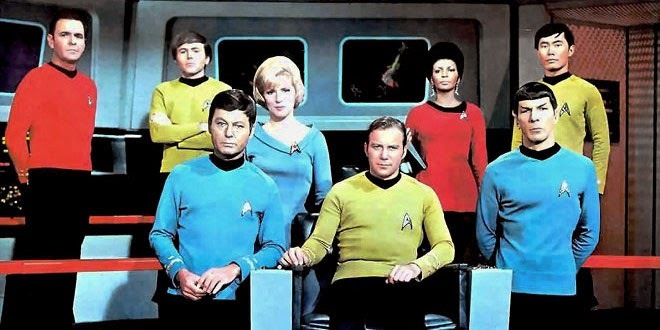 John Kenneth Muir's Reflections on Cult Movies and Classic TV: Star Trek Week 2018: Just One Star Trek Episode for the Ages? 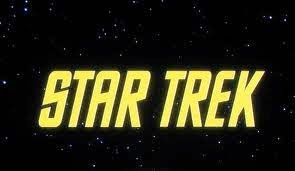 Star Trek Week 2018: Just One Star Trek Episode for the Ages? What is the one great Star Trek episode for the ages, if you could select only one? Below is my selection. But let me walk you through my thought-process in terms of my selection. If only one episode of Star Trek is to survive for future viewings, I must consider which episode in the canon highlights best the core elements of the series; which best represents everything Star Trek stands (or stood…) for. 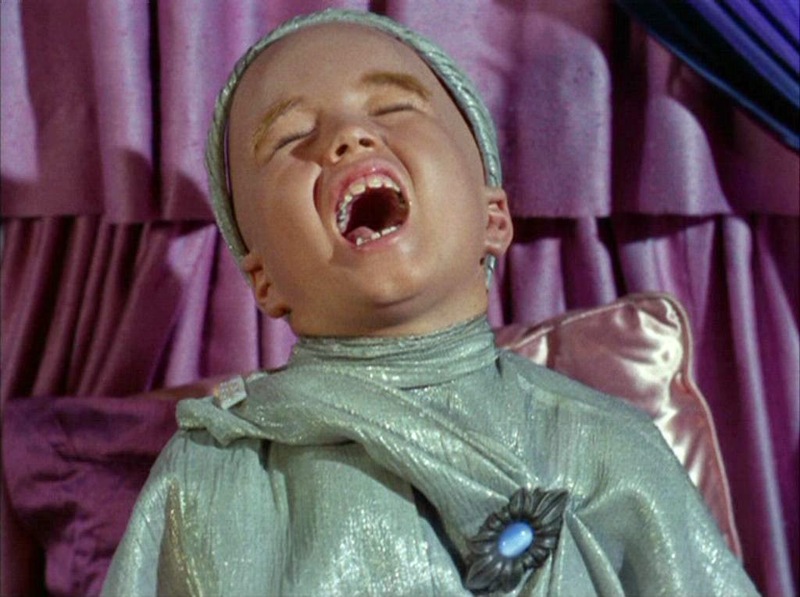 Some of my favorite episodes, like “Space Seed,” or “The Trouble with Tribbles”wouldn’t necessarily make the cut. They are great shows, but I wouldn’t want either to be my representative Trek. I’d have to drill-down here a little and answer a key question, I suppose: what does Star Trek mean to me? Well, it’s about friendship. (Kirk, Spock and Bones). It’s about the idea of man going out into the unknown and taking his humanity with him. It’s about confronting alien life. It’s about learning to see others (aliens, etc.) in a new and different light. It’s about resourcefulness on the frontier, on the edge of civilization, when no one is around to back you up. You have great technology, but that technology is no guarantee of survival, or victory in battle. I’ve been poring over the episode list and I believe have one episode that hits all those hot spots. This episode from early in the first season finds the Enterprise encountering a giant cube in space (no, not the Borg). 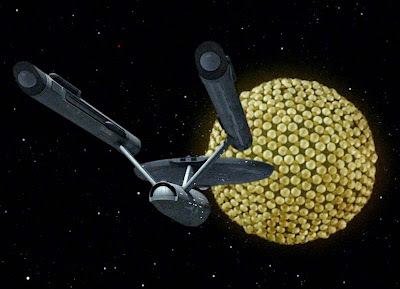 Captain Kirk reluctantly orders it destroyed when it emits dangerous radiation. Before long, a much larger alien ship -- the Fesarius -- arrives and threatens the Enterprise. 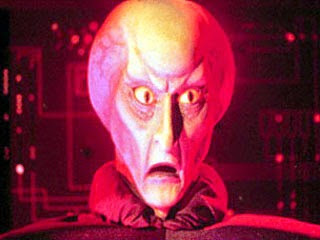 Its captain is the fearsome and very alien Balok. Now Kirk must figure out a way to escape from the technologically-superior ship, and the merciless Balok. I would choose this episode, first, because there’s a clear surrogate for the audience in the narrative. We meet young Lt. Bailey (Anthony Call), who is anxious and scared, having never encountered anything alien. He’s nervous and burdened by responsibility. 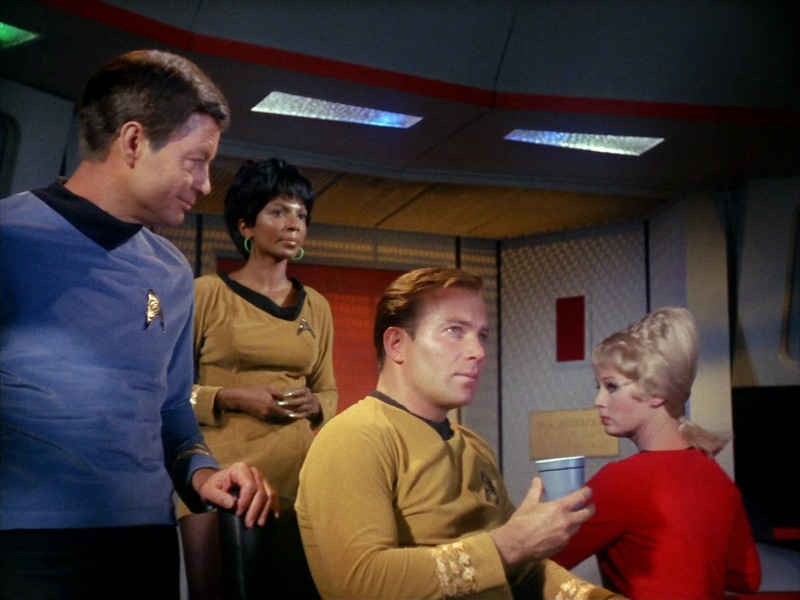 Dr. McCoy thinks Bailey was promoted (by Kirk) too soon, but Kirk sees something of himself in the green officer. He sees a man who can learn and grow. 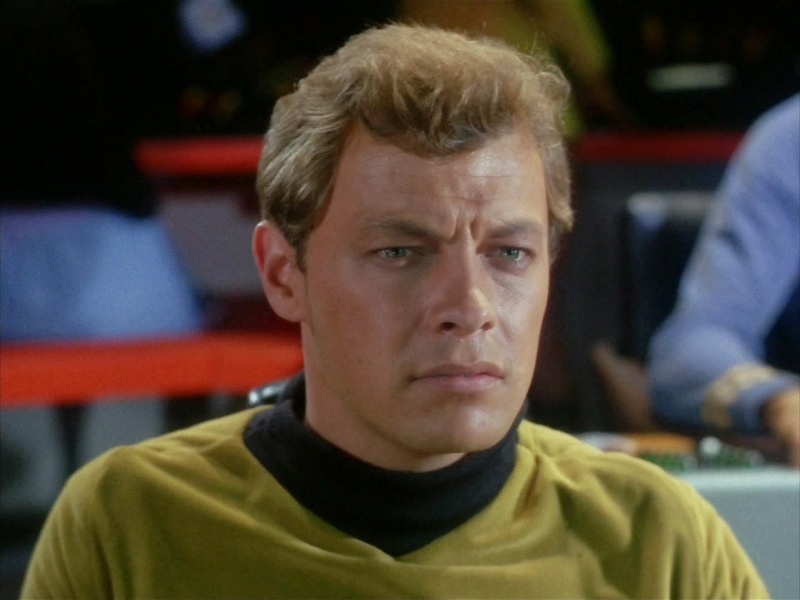 This character -- who voices audience fears and concerns -- helps us to understand the nature of the Star Trek universe, and the nature of the choices Kirk must make. The episode also features some good back-and-forth in the heroic triumvirate, with McCoy needling Kirk about his weight, and Spock and Kirk discussing poker and chess. Furthermore, “The Cormobite Maneuver” involves humanity encountering alien life, and not knowing what to expect from it. In that vacuum, tension rises. Man brings with him to the encounter both his inexperience (Bailey) and his experience (Kirk), which makes for a nice balance, and a nice complete picture of man as a species. And the episode’s finale involves a reveal about the true nature of Balok, and the way that “fear” is a universal constant. Kirk, Bailey and McCoy board Balok’s ship only to find that the “alien” is a puppet, and that the real Balok is a child-like alien. He only presented that other face because he was as fearful as Bailey was about the unknown. But, optimistically, this means that man and alien are alike. They feel the same things; they fear the same things. This is a basis for friendship. Kirk is up against the wall in this episode, matched against a superior ship and superior powers. But he uses a bluff -- from the game of poker -- to find a path to survival. He could easily fail, but he doesn’t. And when he “wins,” Kirk shows mercy to his enemy, and curiosity about his enemy too. This act shows that mankind has truly grown-up. That given the chance, he can choose not to kill, or hurt another life form. It was tough to make this call, but “The Corbomite Maneuver” is representative of Star Trek’s best ethos, and I think the presence of the rookie, Bailey, makes the episode easier for newbies to identify with. As I read over your criteria I took a moment and thought: "The Corbomite Maneuver." Essentially a "bottle show", outside of the opticals, this episode could have effectively sold the series to the network. Of course, "Corbomite" was the first episode of regular series production, which leads credence to the belief that STAR TREK was a winner right out of the gate. We think much alike, John. You and I.
John, excellent choice, good luck tomorrow at the debate. I like "Day Of The Dove" which explored that two enemies [Federation and Klingon Empire] that exist in fear of each other can work together against a common foe. "Only a fool fights in a burning house." Gotta agree with this choice, John: The Corbomite Maneuver is the single episode that best captures all that Star Trek is about; from it, future aliens reviewing the "historical documents" could understand everything. If "Corbomite" got burned up in a fire and I had to pick a runner-up, I'd choose from the following episodes that evince the same qualities: Mirror Mirror, The Tholian Web, A Taste of Armageddon, Obsession, The Menagerie, Metamorphosis, Day of the Dove, and two episodes that even throw in the kitchen sink--Journey to Babel and Elaan of Troyius. It's true that "The Corbomite Maneuver" is an excellent episode in many ways; I especially love it that the "villain" turns out not to be villainous after all and was only testing them. More than that, this crucial early episode helps to illustrate why Kirk has command of the Enterprise. Why is a man this young the captain already? And why is he in charge when Spock knows more about everything? Two main reasons: 1) Kirk never gives up. Spock analyzes the situation, realizes that the other ship has many times their power, and assumes that their fate is in Balok's hands. Kirk is still looking for a way to win two minutes before they're scheduled to be blown up. (Spock learns from this and will be more persistent in the future.) 2) Kirk can pull inspired tactics out of thin air, such as creating this corbomite malarkey. There are lots of other reasons why Kirk's a great captain, of course, but these two reasons are on display in this episode, and they're excellent reasons why Kirk — young as he is — is a worthy captain for the Enterprise. While Spock is my favorite character, I do appreciate the heck out of Kirk, and the Enterprise is usually much better off with Spock's intellect harnessed to Kirk's will than they would be the other way around. However, I think there's an even better episode to carry the flag of the most Trekkian episode -- "The Devil in the Dark." "The Devil in the Dark" also shows the crew of the Enterprise confronting alien life and coming to understand that life in a new and different way, but I think both the alienness of that life and the effort required for understanding are more profound in "The Devil in the Dark," which makes the result more noteworthy and inspiring. Instead of "it's all only a test," they have to solve actual conflict and get both sides to reconcile. Humans are forced to realize that actually, WE were the murdering monsters in this episode first. And instead of understanding a humanoid creature like Balok's alter ego, they're forced to understand someone who looks like a particularly lumpy rock. The horta isn't even carbon-based life, but we can understand her and get along with her anyway. "The Devil in the Dark" also shows the Kirk-Spock friendship well, as Kirk tames his desire to shoot the horta when Spock urges them to capture it, and Spock abandons his desire to capture the horta when Kirk is in danger. That resourcefulness you wanted is on display when McCoy uses a kind of concrete to make a bandage for the horta. The horta doesn't LOOK like us, but how people look isn't what matters. "The Devil in the Dark" urges us to rise above our xenophobia and to find commonality with others, even others who seem very different from ourselves on the surface. That's a message that is as fresh today as the day the episode was made, and it's the core of Star Trek. "The Corbomite Maneuver" IS a good episode ... but I submit that "The Devil in the Dark" is better (and I say that as someone whose favorite episode is "Amok Time," so I'm not just arguing for my favorite episode). Agreed. 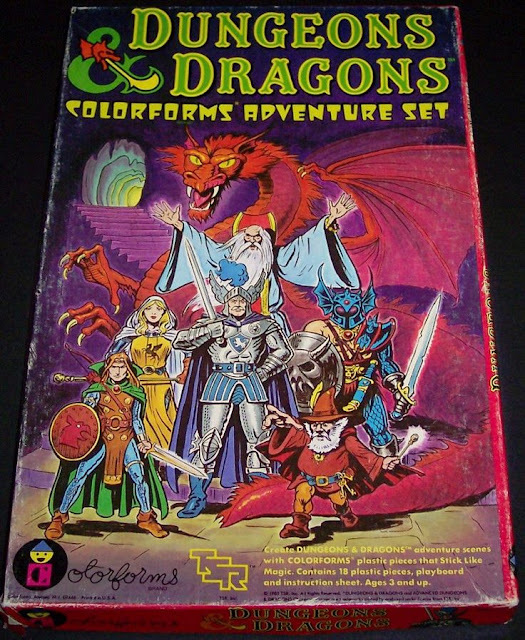 When the original series was "greenlighted" for production that was the first episode filmed. And, agree that "The Devil in the Dark" is also worthy. Much is made of "City on the Edge of Forever" and "Amok Time", to some extent deservedly so. As for "City", view the animated series episode "Yesteryear", a nominal sequel and by consensus the best episode of that series. Breakaway 2018: "All that Glisters"
Breakaway 2018: "The AB Chrysalis"
Breakaway 2018: "Mission of the Darians"
Breakaway 2018 "End of Eternity"
Breakaway Day 2018: "The Full Circle"
Breakaway Day 2018: "Force of Life"
Breakaway 2018: "Guardian of Piri"
Breakaway 2018: "Another Time, Another Place"
Breakaway 2018: "Matter of Life and Death"
Star Trek Week 2018: "Spectre of the Gun"
Star Trek Week 2018: "Space Seed"
Star Trek Week 2018: "Balance of Terror"
Star Trek Week 2018: "Amok Time"
Star Trek Week 2018: "All Our Yesterdays"
Star Trek Week 2018: "Mirror, Mirror"